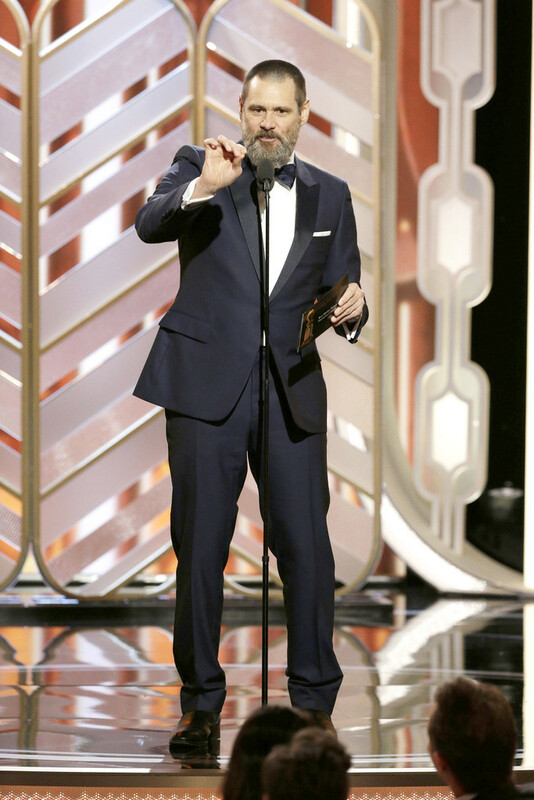 I read on Twitter that Jim Carrey will be a presenter at this year's 73rd Annual Golden Globe Awards, this Sunday, January 10, 2016 on NBC at 8:00 pm Eastern Time and 7:00 pm Central Time. It's great that Jim will be a presenter. His fans were worried about him, and I'm sure they're still kinda worried about him. about the 73rd Annual Golden Globe Awards. I'm gonna watch it, it'll be so nice to see Jim on stage again. As usual... he nail it! And he's still filming the movie but probably here. 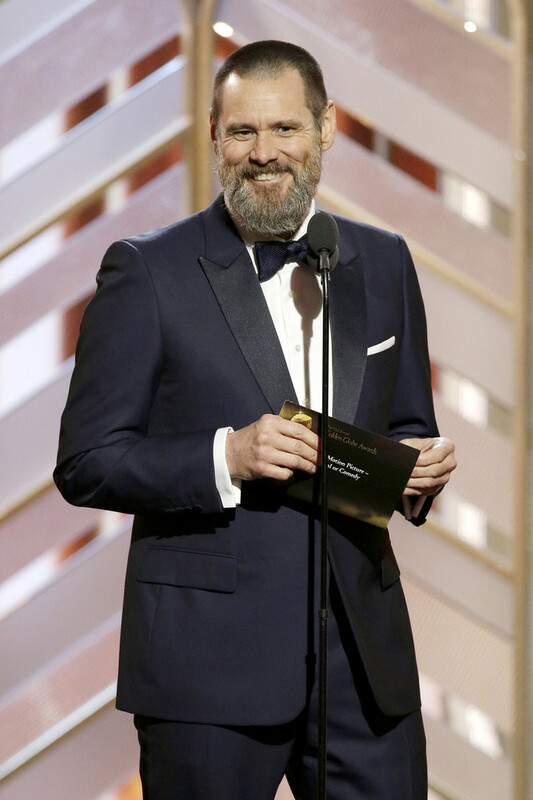 I saw Jim Carrey on the The Golden Globe Awards. He looked very good. I still wish he had shaved off his beard. I still don't like it. I wish Jim didn't skip The Red Carpet. I hope he'll do some more personal appearances soon. He's usually pretty good about doing personal appearances. Also, Jim is still a comedian, but I think he's grown up, he's not as wild and crazy as he used to be. He has mellowed-out. P.S. The Golden Globe Awards oughta ask Jim Carrey to host the 2017 Golden Globes. He'd be great at it. Last edited by tlmarvin on Tue Jan 12, 2016 3:30 pm, edited 1 time in total. shrink at the same time?